There is a reason a high heel pump is a classic - it goes with everything from office to a night out in style! Here in stunning red. 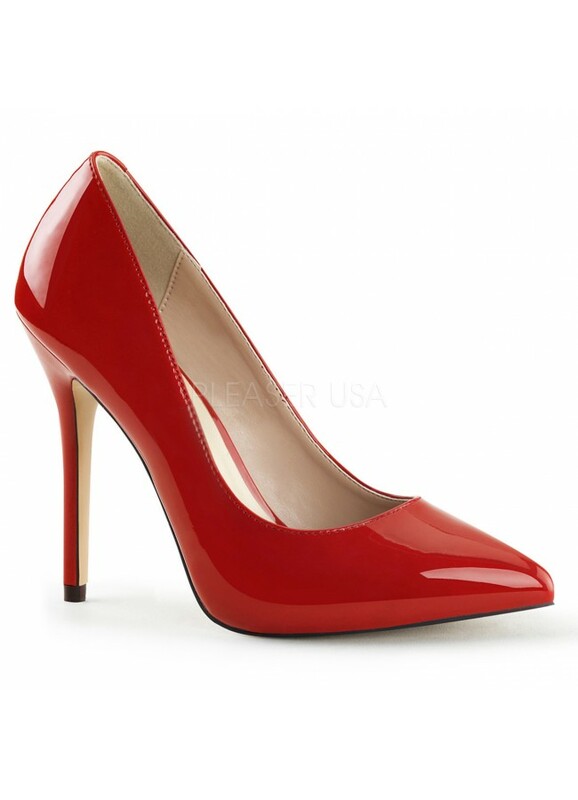 Red faux patent pump has an elegantly tapered 5 inch high stiletto heel and classic pointed toe silhouette. Goes with everything from day to night with ease. Item Number: PL-AMUSE-20R | Approximate Size (Inches): 10.00 wide x 12.00 deep x 8.00 high | Approximate Shipping Weight: 3.00 lbs.